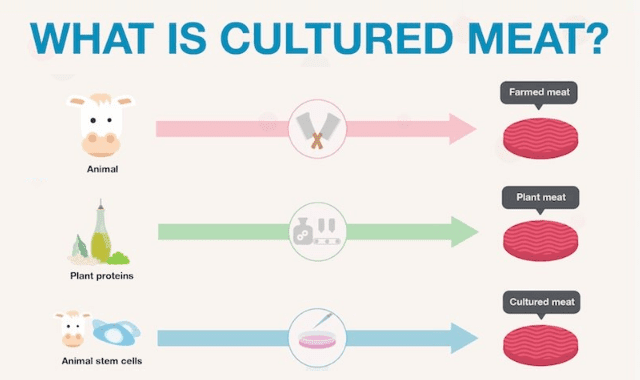 What Is Cultured Meat? #Infographic ~ Visualistan '+g+"
Cultured meat, also known as lab-grown meat or in vitro meat, is meat grown from cell cultured instead of from animals. The muscle cells that make up meat can be grown in the lab using many of the same tissue engineering techniques traditionally used in regenerative medicine. The first cultured burger was presented by Mark Post in 2013 but the 'recipe' has been improved since. Let's explore how it is made and whether it is a scary new technology or the future of food.